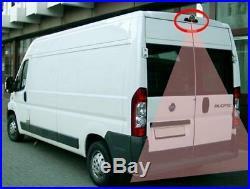 Fiat Ducato, Citroen Relay, Peugeot Boxer Brake Light Reversing Camera Kit. CAMERA: 1/3 Sony CCD, 700TVL camera in a Fiat Ducato, Citroen Relay, Peugeot Boxer high level brake light lens. It has a 120 degree lens, 9 LEDs for good night vision and is waterproof to IP 68 standard. It has RCA Phono connectors. 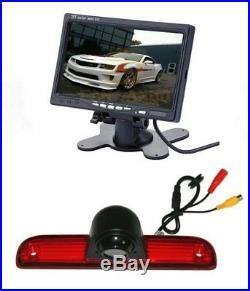 The monitor is a 7 TFT LCD dash mounting monitor with stand and remote control. 33ft of video cable is included. What's in the box. 1 x High level brake light Sony CCD camera. 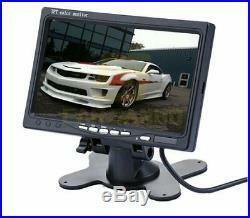 1 x 7 Dash mount monitor with stand and remote control. 1 x 10 meter video cable with RCA/Phono connectors 2 x 12v power lead. It is your responsibility to pack the item securely to make sure it arrives back here in good condition. If you believe we have delivered what we advertised and in a timely manner, then please leave 5 star positive. Because this is what we are striving for. The item "Fiat Ducato, Citroen Relay, Peugeot Boxer, Rear Brake Light Reversing Camera Kit" is in sale since Monday, November 21, 2016. This item is in the category "Vehicle Parts & Accessories\In-Car Technology, GPS & Security\Parking Assistance\Camera, Monitor & Sensor Kits". The seller is "drw7246" and is located in Kidderminster. This item can be shipped worldwide.